When Microsoft announced its Surface-branded headphones last year, everyone was taken by surprise, mainly because Microsoft is a software-company that has been expanding its hardware expertise. At the time, we didn’t know much about Microsoft’s headphones, but Thurrott now hints that we could soon see Surface Buds which will compete with Apple’s AirPods. According to Thurrott’s sources, the tech giant is working on earbuds which are code-named Morrison. Moreover, the company is working to capitalize on its audio tech by focusing on both over-ear and in-ear headphones. The Surface Buds would in turn appeal to anyone who uses Surface Books and other Surface-branded gadgets. 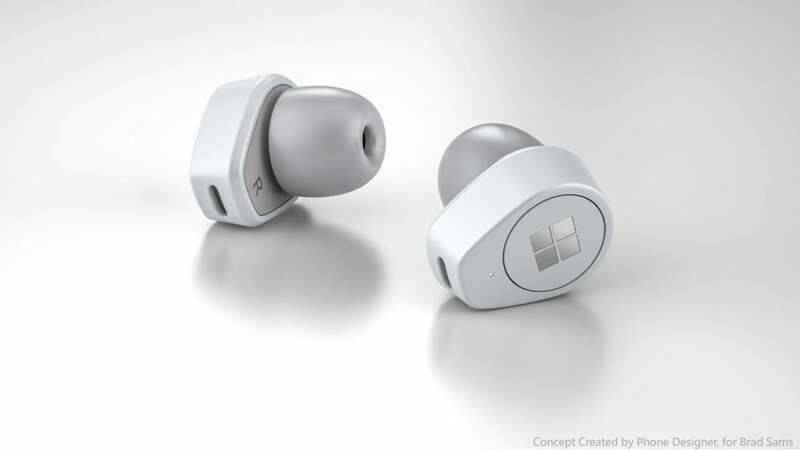 This is not Microsoft’s first attempt to sell earbuds, but this one needs to be more successful than the earbuds sold with its Zune music player years ago. It won’t be easy for Microsoft. The company has great potential to boost its sales in the wireless segment. After all, the wireless headphones industry has taken a large leap forward since so many phone manufacturers gave up the 3.5mm port. However, Microsoft will be rivaled by Apple’s AirPods and by Amazon, which reportedly is planning to join the competition with its Alexa-branded earbuds, according to Bloomberg. While the market seems already full of products by great brands, there’s still a lot of potential for the “Morrison” Surface Buds bloom. Thurrott further reports that the code- name for these headphones is slightly different than the code-names of Microsoft’s other products. While some devices were inspired by mythological and astrological names such as Andromeda and Centaurus, the code-name of the Surface earbuds was different originally. The code-name of the original Surface Headphones was Joplin, possibly for composer Scott Joplin or singer Janis Joplin. Along that same line, Morrison could be a reference to Jim Morrison, lead singer The Doors, another American celebrity from the music scene. While the code-name for the Surface Buds was apparently tossed around internally, it still can’t be confirmed as the actual name of Microsoft’s new product. More importantly, there is still no indication about the retail name or release date. There are not many details about the rumored buds, and it’s still not clear whether Microsoft will make its new audio hardware any different from its already-existing one. The Surface Headphones do offer a plethora of features, such as Cortana integration, noise cancellation and much more. It is expected that the new earbuds will offer similar features. Hopefully the project stays in the works and doesn’t get cancelled. If it enters the final production stages, a 2019 release date may seem reasonable, but for now, it’s not 100% certain.